That is a lovely photo. I can't find a wherry called Eagle listed in Roy Clark's Black Sailed Traders, but maybe she had her name changed. She does indeed look like a converted trader and the ladies are sitting with their feet on what would have been the original height of the hatch covers. In this case it looks rather like a permanent conversion. The original ones could have the cabin furniture taken out in winter, and carried on hauling sugar beet in the off season. Must have needed a good clean out in the spring! As promised - this is the rather magnificent Gladys from the 1880s photos I'm sorting out for Broadland Memories. Thoughts on this one please. I cannot work out if she was a converted trader or purpose built pleasure wherry. If she is a conversion then she has been done a little better than The Eagle was and has presumably had that counter stern added which, I believe, wasn't unheard of. The rear cabin is quite low compared to the rest of her which is possibly a sign that she started as a trader? The cabin sides do look a little rough and ready in places, although there is certainly a lot more glass than The Eagle had. 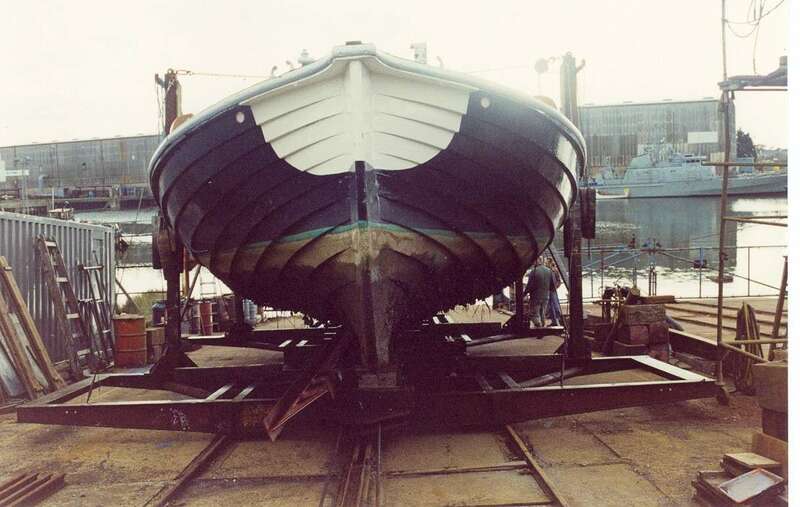 Gladys is listed in Roy Clark's Black Sailed Traders as a pleasure wherry but is not marked as having been built as one. She looks to be sitting pretty low in the water to me? The second photo is cropped down from another image of her and is interesting because it has what appears to be a portable chimney or some such on the rear cabin. It didn't appear in any of the other photos of her which means it must be detachable. When I first looked at the whole photo, I thought it was something on the bank behind, but studying closer I could see that the ropes pass behind it. Is it a chimney and, if so, was this sort of thing common? Re 'chimblies', yes. There is even a 'wherry' term for them, only I can't remember what it is. Marsh, what's a wherry's chimbly called? She looks low in the water and the mast is either raked or leaning towards the camera, the latter would explain the reduced freeboard. Arghh, a red ensign as the mast-head, it could have been worse had it been a flag! I wonder if the roof was painted orange? Coburg, a wooden wedge shaped fairing which prevented the sheet blocks and sail from fouling the protruding part of the stove pipe, the wooden chimney fitted on top of this. In my time, when my father had a bakery, little old ladies would come in and ask for a 'coburg' loaf of bread. Nowadays such a loaf is called a cobb. Those are great photos, Carol, thank you for sharing them. In both of these photos, the white lower part of the hold sides are permanent and are called the "standing right-ups". Above these are the "shifting right-ups" which can clearly be seen on Albion and Maud, and are removable for loading cargo. 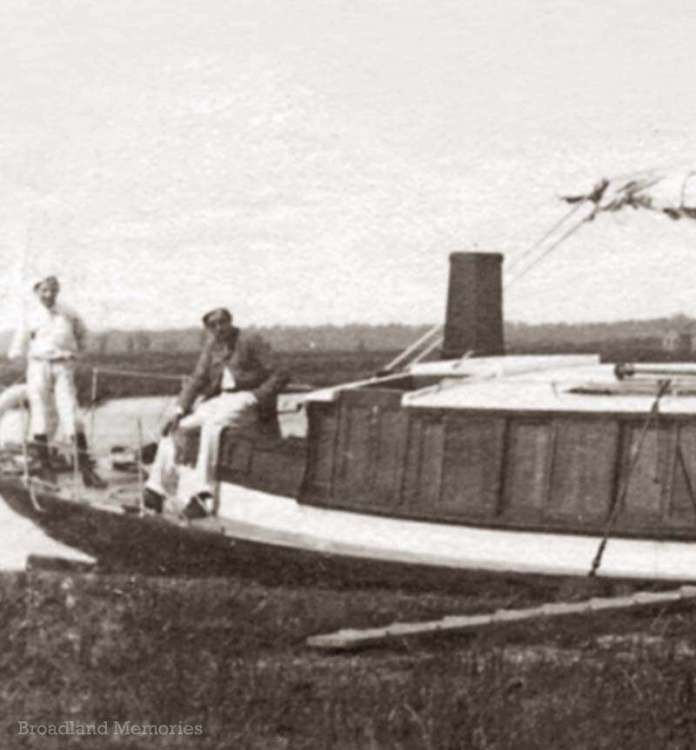 Wherries were originally converted for "pleasure" by replacing the shifting right-ups with higher ones (with windows) and then putting the hatch covers back on top. In this case I can see no evidence of separate hatch covers and the cabin top appears to be permanent. 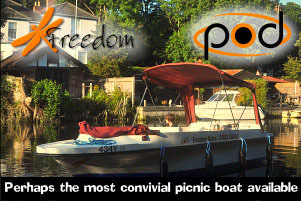 On the other hand, in the second photo, the man seems to be sitting on the typical aft cabin top of a trading wherry. Her sail is un-dressed (still white, not black or brown) which tends towards a pleasure wherry or wherry yacht and I notice that, although the "bonnet" is rigged, it still comes clear of the high cabin sides. This would indicate that the sail was made specially for the wherry in that condition. Not the sort of expense they would have gone to for a simple trading wherry conversion. 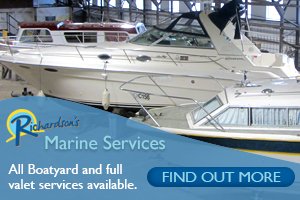 She is also fitted with stanchions and rope handrails on the foredeck and the counter stern. Again, not the sort of expense for a temporary conversion. She appears a bit low in the water but then, if she was a permanent conversion the furniture would have been luxurious and therefore heavy. Including an upright piano in the saloon! On the hull I notice that the strakes amidships have battens below them, to protect the "lands" of the planking when in locks. So she probably cruised upstream of Coltishall, as far as Aylsham but might have been too big to go above Dilham towards North Walsham. My guess would be that she comes somewhere between the original trading conversions and the deliberate building of pleasure wherries. 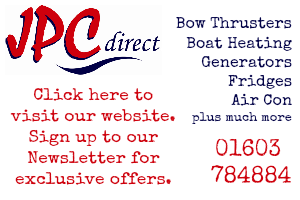 In other words originally a trader, but with a complete and permanent conversion to pleasuring, which may also have meant the fitting of a counter stern. In which case, a very interesting piece of history. not forgetting that the Death and Glories in Arthur Ransomes Big Six had a proper clay Chimbly pot. That's great - thank you Vaughan. That confirms my (uneducated) thoughts on Gladys which means I must be learning something! 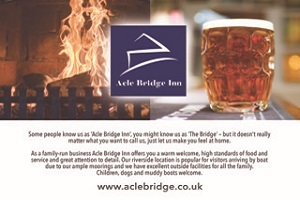 Thank you Peter too for the "chimbley" info. I knew if she was a conversion that she is clearly a permanent one. Very interesting note that her sail must have been custom made for her though. There are about 20 photographs in this set and yes, some quite rare and interesting images amongst them. I recognised their historic value when I saw them for sale. They were a pretty major purchase, in two lots as they came from a larger album which had been split apart by a dealer (a major bug bear of mine because in doing so they destroy the archaeology of that history). The album obviously included other subjects and places (including the Ducth and Beligian canals of which I have a couple of pics). I wanted to at least make sure that the two lots containing Broads pics were kept together and put out there as they were such an important record of Broads boating history. Once again, I'll point out that I eventually intend that all of this material that I'm gathering goes to the county council records office - in the meantime, I'll gather it together online so that everyone can see it. I know that Broadland Memories is archived by the British Library (and possibly others) so I hope that it all assists in making sure these important photos, films and memories are preserved for the future. The photos possibly cover more than one trip, so I believe they probably date from somewhere between 1885 and 1890. I've got the photos cleaned up and laid out ready to caption for the website. I am supposed to doing further research today so that I can get that done and a blog post to accompany them written .... best crack on and stop getting distracted! I would agree with Vaughan - it does have the look of as trader and perhaps this an early example to try and use the counter stern. I cannot really logically see how you could just cut off the cuddy and stern and convert it to a counter stern as it would have not a lot of structural integrity as some big bits, such as the stern post and apron, would have gone too!! Sadly I doubt whether we shall ever find out the truth but it does look like a forerunner of these beautiful counters on the Wherry yachts. It may also, especially as there are no real records of the boat, mean it did not last long and quickly passed on to bank or staithe somewhere! Chimbleys - not sure Pete that I know of another name, unless I forgot it, but you are correct about the coburg which protected the stub of the chimney and which would have prevented the mainsheet catching. The chimbley would have been in two parts, a steel tube to fit over the bit coming up from the stove , and Albion still has the square bit to fit over the inner - if you look at the picture , you will see that that this is square too. I am also equally sure that that they were not always unshipped when sailing as there are plenty of pictures around with chimblies smoking- my guess is that in a gentle breeze you may be able to flick the mainsheet over, to avoid catching it. But we will never know and going back to a favourite hobby horse, it all just shows how vitally important it is to keep all the information of a bygone era!! I agree with Marshman that a counter stern on an existing wherry would not have been a practical - or even possible - conversion. But would she have been built like that, originally as a trading wherry? Perhaps we should reflect that from 1844 onwards, the railways came to Norfolk and set about killing the trade of the wherries. What came later (with tourists brought by the railways) were the pleasure wherry and the wherry yacht. But they did not just happen overnight - their design evolved, along with the tourist market. So maybe the Gladys really represents a transitional stage in this evolution? Was she a converted trader, or was she actually a first try at something new? As Marsh says, we will never know now, and that is what makes it even more fascinating. I think you are right Vaughan - Roy Clark shows it as being built as a a trader and I can neither prove or disprove that! What you say is very logical and is probably true. We are unlikely to ever know!! So you think it is more likely to have been an early attempt at building a pleasure wherry, built largely in the manner they would have been building traders in, but with features such as the counter stern for pleasuring? Marshman - do you know whether there were ever and traders built with counter sterns. I ask, because there is a little nag at the back of my mind that tells me that I did read of one, but can't for the life of me remember where I would have read it ... or even indeed if I did. I can't see any practical purpose for one on a trading wherry other than aesthetics, which I can't see would really have been a priority on a working vessel. "The absence of any other convenient deck space on a pleasure wherry was a disadvantage to the holidaymakers, so it is not surprising that one or two owners decided to have their wherries rebuilt with counter sterns. 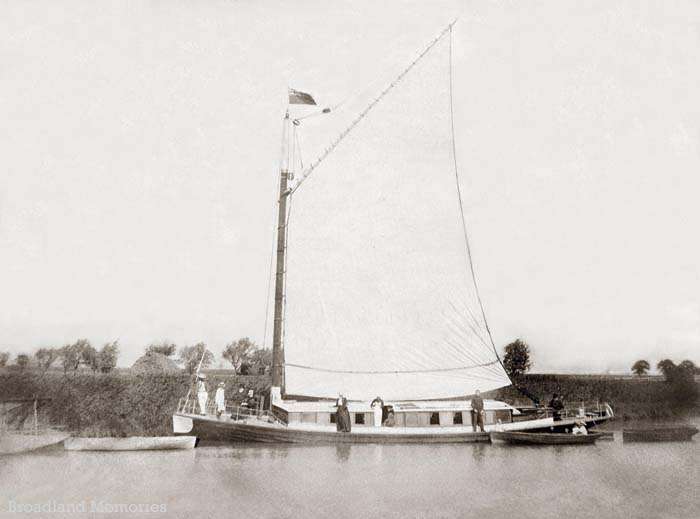 One rather remarkable conversion was the Zenobia, formerly the trading wherry Olive Branch, built by Allen of Coltishall; not only was she given a counter stern but also a mizzen sail and foresail, turning her into what was quaintly described in Lloyd's Register of Yachts as a 'wherry and yawl'." 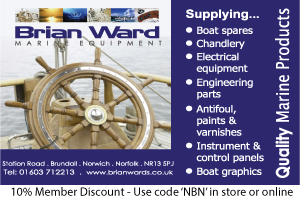 He also mentions that the original Ecila (not the second Ecila which was a purpose built pleasure wherry and became Sundog) also had a counter stern added when she was converted from a trader. So, it seems it did happen although, as you say, it's unlikely that we'll ever know the history behind Gladys. I'm pleased that she has at least been documented by this photograph and it's great to get some discussion going on here. This is why I passionately believe that this sort of history should be out there and not locked away in private collections or museum vaults. Small jigsaw pieces in a very large puzzle. Here are a couple of pics of Solace slipped at Lake Lothing in 2010. 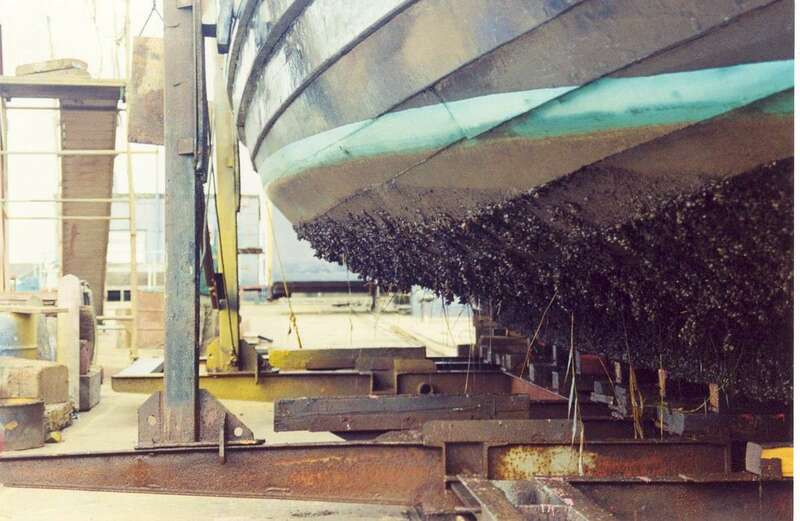 Nigel Royall got over thirty wheelbarrow loads of the dreaded fresh water mussels off her hull, which looks to my untutored eye like clinker-built, Clive. On second thoughts, the first pic looks as if something has been smoothed out a bit round the side, so you could be right!! 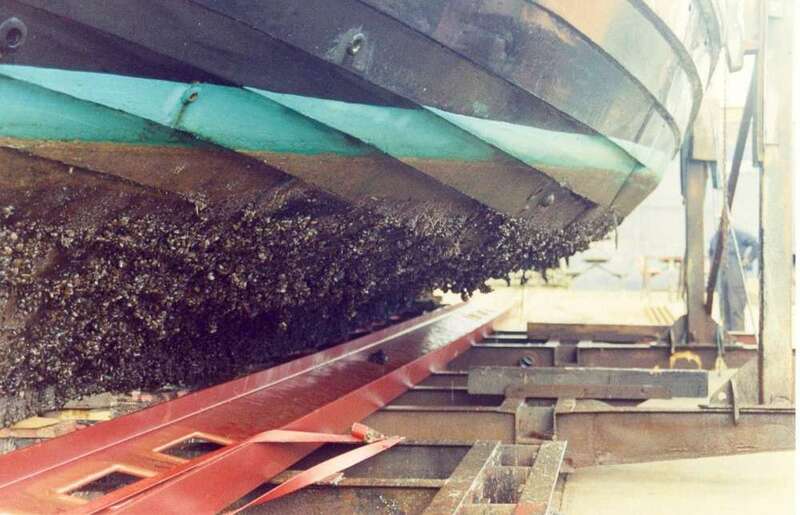 That could be due to 'doubling-up', not an uncommon technique for repairs to clencher built hulls, especially where rubbing has taken place, where the hull rubs against the bank. It's not uncommon to tack a wherry by turning her against the reeds, indeed many years ago Albion needed much of her forward planking replaced and it was reckoned that it had been rubbed surprisingly thin in that manner. First can I say that I apologise if some of this info is wrong, but I hope it is all fine and I have had a few words with a few 'ol boys to verify it all. As far as I can gather, Solace as she now is, was how she was built. Its shown in several places that she was built half and half, or whatever the proportions are and as a result , I don't think anyone has taken a plane to her. Nor , as Pete suggested, did she have anything added. Apparently. Unusual granted, but it is well recorded thats how it was done! Carol - I cannot really find any evidence one way or another, but realistically I can think of no reason why a trader would be built with a sunning platform! Perhaps the best thing to do is to try and imagine why, and I cannot think of a reason! It seems totally illogical to me - in that day and age they were not noted for doing something for the sake of it! Going back to the Gladys, she seems to be something "new" to wherry history - just shows how these things crop up! Go on someone prove me wrong! 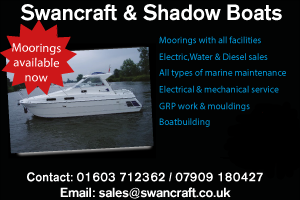 Most people know about the Sundog which was converted to a counter stern and which ended her days in a field at Geldeston with the back end literally dropping off! 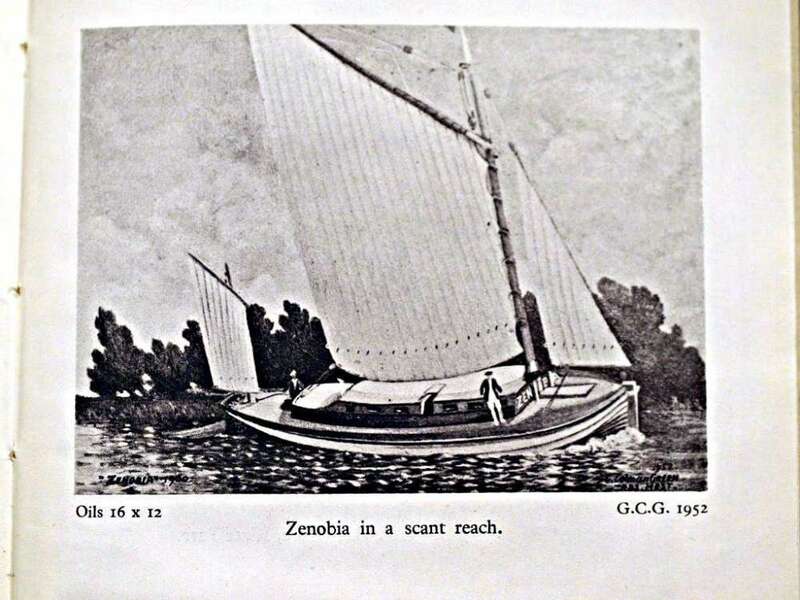 Records also show another built as a trader but converted - built originally as Olive Branch she became the Zenobia - she too was fiddled with and there is a picture of her rigged as a yawl I think. Pete - I think you know about this one don't you?? And now we seem to have found Gladys!! I wonder what her name was before conversion? Anyone know that? Seems to be quite a find especially as i think I read Robert Malster knew of only two such boats. Some post you made many many moons ago when Old Frank was posting on another side, said it was converted from the Olive Branch and indicated that that was confirmed by Bob Malster. All these good 'ol boys have their uses!! Old Frank has an incredible library of Broads books, long time friend of Bob Malster too, absolute fund of useful information. Pleased that I seem to have uncovered a possible previously unknown in Gladys though. Whilst The Eagle was only named in the captions, you can quite clearly See Gladys' name boards in a couple of photos. I should hopefully get the whole set up next week ... elderly mum allowing! Many thanks for all your help on this. I rather like this one! 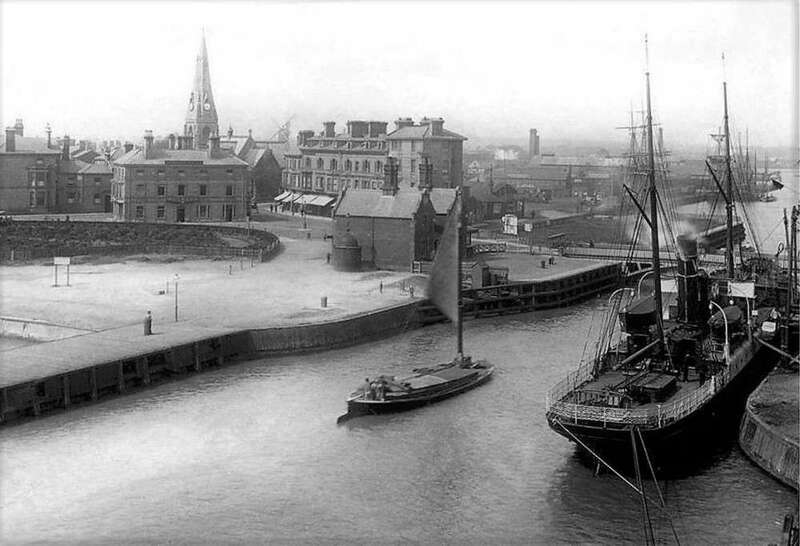 It shows a wherry probably holding the tide waiting for Lowestoft bridge to open, I suspect that the sail has been depowered to a point where the wherry is stationary. Could she have shot the bridge? Probably but that wouldn't have put a dumpling on the bridge keeper's plate! 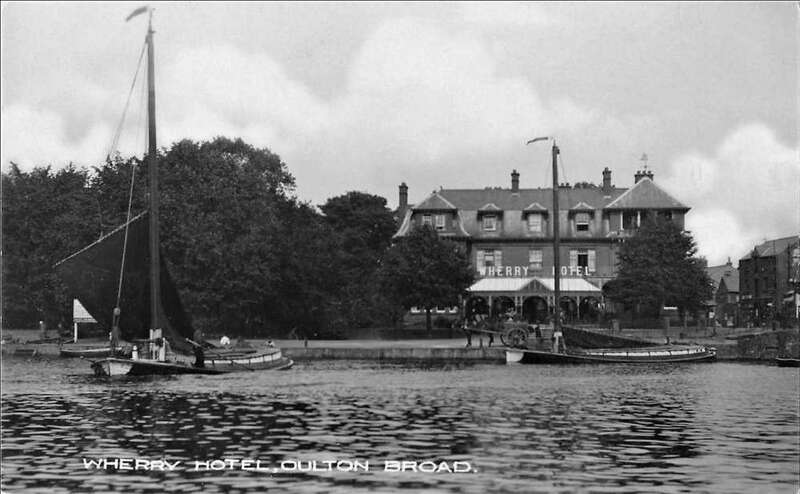 Two wherries at the Wherry, Oulton Broad, 1920. 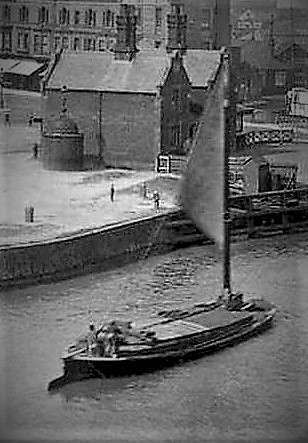 Noting the horse & cart suggests that wherries loaded and unloaded at the Wherry, does that mean that it was a public staithe I wonder? Evening Pete - couple of good pictures there - I will let you sort out the staithe issue! Particularly like the Lowestoft picture, more particularly as I cannot quite see what he is doing with the sail! What looks a little odd is that the tack seems to be a long way off the deck and whilst he clearly has the peak lowered, it still seems as though the gaff jaws are almost up to the top of the mast!! The main sheet is obviously right out which is OK according to the smoke from the steamer but perhaps the tack really isn't off the deck and its an optical illusion. The other odd thing is that there are so few people about - must be early in the morning - or late!! 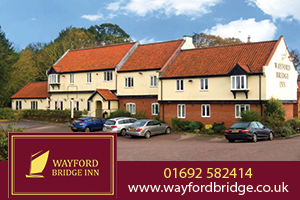 Come on Vaughan - what do you think??? Thought that you might like that one, Marsh. Clearly the sail is scandalised and there appears to be a set of parrels about two fifths up the mast and I'm guessing that they belong with the gaff jaws and that would suggest that the peak is either low or the gaff is upright to the mast. There is no suggestion of the bulk along the foot that suggests a reef but maybe there is one tuck in hence the tack is high. Got to say that the detail is not clear but I think that there is no doubt that the skipper is holding the tide and that the sail is balanced accordingly. 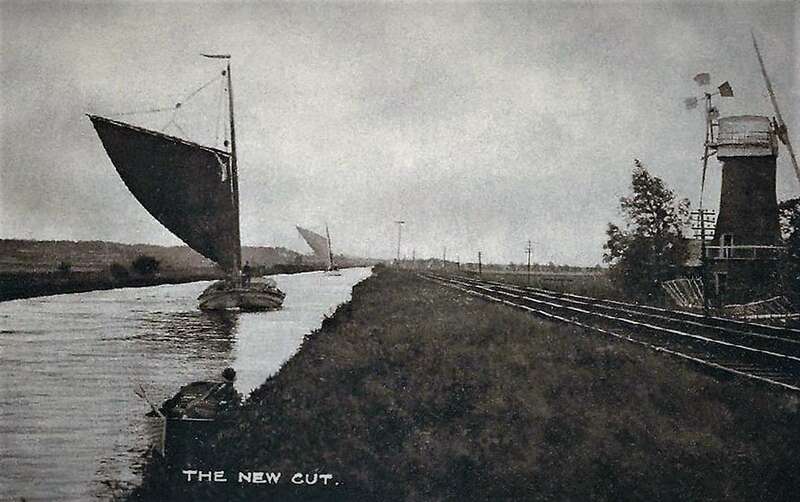 Another wherry shot, this time along the New Cut. Not a good original but still worth a view.